Shelytia CoCroft received her Ph.D. in Medical Sociology at Wayne State University where she examined the impact of socioeconomic status on knowledge of and attitudes toward cognitive decline. She is now a first year Postdoctoral Scholar at the Center for the Study of Aging and Human Development at Duke University Medical Center. Her co-mentors are Kathleen A. Welsh-Bohmer, Ph.D. (Professor of Psychiatry & Behavioral Sciences at Duke and Director, Alzheimer’s Disease Research Center) and Tyson Brown, Ph.D. (Assistant Professor of Sociology at Duke and Co-Director of the Center for Biobehavioral Health Disparities). Dr. CoCroft’s current research is part of the REVEAL-Scan Study, a study designed to investigate the impact of disclosing amyloid brain imaging results to cognitively healthy individuals at risk of Alzheimer’s disease by their family history with this condition. Her current research focuses on factors that contribute to participation of older adults in preclinical Alzheimer’s disease trials. 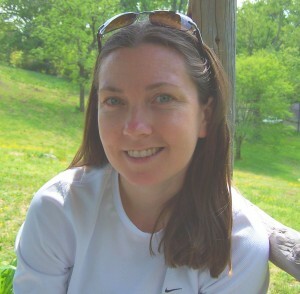 Anna H. Casey, Ph.D. completed her doctorate in Behavior, Cognition and Neuroscience at American University and is a first-year fellow at the Duke Center for Aging. Dr. Casey’s dissertation research investigated the effects of task effort on the observing response in tufted capuchins at the NICHD’s Laboratory of Comparative Ethology. Her co-mentors are William C. Wetsel, PhD (Associate Professor of Psychiatry & Behavioral Sciences at Duke and Director of the Mouse Behavioral and Neuroendocrine Analysis Core Facility); Anne D. Yoder, (Braxton Craven Professor of Evolutionary Biology and Director of the Duke Lemur Center); and Richard O’Brien, (Disque D. Deane University Professor and Chair of Neurology. Dr. Casey is currently examining age-related cognitive decline in gray mouse lemurs. Results from her cognitive-behavioral tests will be compared with genotyping and brain imaging to assess the viability of the mouse lemur model for late-onset Alzheimer’s Disease. 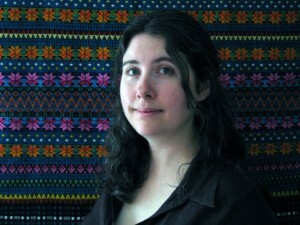 Amy Thierry, Ph.D., M.P.H. comes to the Duke Aging Center’s Postdoctoral Research Training Program from the Pennsylvania State University College of Health and Human Development where she earned a Ph.D. in Biobehavioral Health with a minor in Demography. For her dissertation research, Dr. Thierry used Health and Retirement Study (HRS) data to examine racial/ethnic and gender differences in the relationship between chronic stress and physical disability, while integrating telomere length as a predictor of disability development. Her current co-mentors are Dr. Scott Lynch, PhD (Professor of Sociology at Duke) and Linda K. George, PhD (Arts and Sciences Professor of Sociology at Duke and Associate Director, Duke Center for the Study of Aging and Human Development). Dr. Thierry’s research at Duke will use the HRS to examine neighborhood stressors experienced by midlife and older adults to better understand how environmental context contributes to physical disability disparities. Her research includes measures of inflammation and telomere length, a biomarker of cellular aging, to elucidate potential cellular processes linking stress and physical disability. 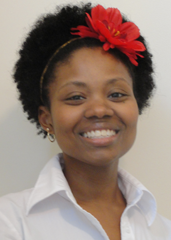 Candace S. Brown, PhD is a second-year Postdoctoral Scholar with the Center for the Study of Aging and Human Development at Duke University Medical Center (DUMC). She received her doctorate in Health Related Science/Gerontology in 2016 from Virginia Commonwealth University. Her dissertation focused on understanding the participatory motivations of midlife to older Black women who compete in triathlons Under the co-mentorship of Miriam C. Morey, PhD (Professor of Medicine-Geriatrics at Duke and Associate Director of Research, Durham VA GRECC) and Deborah T. Gold, PhD (Professor of Medical Sociology in the Departments of Psychiatry & Behavioral Sciences, Sociology, and Psychology and Neurosciences at Duke). Dr. Brown is developing skills in mixed methodologies to be applied to the study of aging, and her mentor for qualitative research is Linda M. Burton, PhD (James B. Duke Professor of Sociology and Director, Center for Child and Family Policy at Duke). Brown is currently studying the psychosocial complexities of exercise motivation among older veterans who exercise in the program Gerofit at the Durham VA.
Grace A Noppert, Ph.D., MPH is in her second year as a Postdoctoral Scholar with the Duke Center for Aging. She comes from the University of Michigan where she received her Ph.D. in Epidemiologic Science. Her dissertation work investigated social patterning of tuberculosis in Michigan. Her primary co-mentors are Angela O’Rand, Ph.D., (Professor Emeritus of Sociology at Duke and Director of the Center for Population Health and Aging and of the Duke University Population Research Institute) and Harvey Cohen, M.D. ( Walter Kempner Professor of Medicine-Geriatrics and Director, Center for the Study of Aging & Human Development). Dr. Noppert’s research focuses on advancing our understanding of persistent infections across the life course as a potential cause of health disparities in aging and is specifically interested in investigating the link between early-life social disadvantage and later-life immune dysfunction. 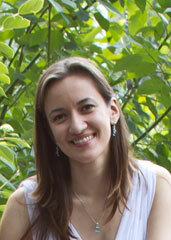 Marianne Chanti-Ketterl, MD, PhD, MSPH is in her second year as a Postdoctoral Scholar from the Duke Center for Aging. Dr. Chanti-Ketterl earned an M.D. from Universidad Internacional de las Americas in Costa Rica and an MSPH in Epidemiology from the University of South Florida. She completed her PhD at the University of South Florida in Aging Studies and Gerontology. Her dissertation research focused on the impact of lipoproteins on physical and cognitive function in older adults. Her co-mentors are Professor Brenda Plassman, Ph.D (Professor in the Department of Psychiatry & Behavioral Sciences and Neurology at Duke) and Deborah T. Gold, PhD (Professor of Medical Sociology in the Departments of Psychiatry & Behavioral Sciences, Sociology, and Psychology and Neurosciences at Duke) Dr. Chanti-Ketterl’s research focuses on genetic and environmental risk factors for cardiovascular disease, cognitive decline, and dementia. In addition, she has a special scientific interest in addressing health disparities among Latinos. Her current project looks at the association between pesticides and cognitive function in farmers from the Agricultural Health Study of Memory and Aging. Cheryl Roberts, PhD, earned a master’s in public administration from Harvard University and a Ph.D. in sociology from the University of North Carolina, Chapel-Hill. Her mentors were Professors Kathie Harris and Glen Elder, Jr. Looking at the intersections of race, gender, and class, Roberts’ dissertation used the National Longitudinal Study of Adolescent Health to investigate the relationships among family disadvantage, school context, and educational attainment among African American males. Roberts’ mentor in the Duke RTP will be Professor Angela O’Rand in the Sociology Department. Her postdoctoral research will explore how earlier life disadvantages affect later life health, mental health, and well-being, and processes associated with risk and resilience. Dan Hatch, PhD, earned his PhD in Psychological Science at Utah State University under the mentor ship of his dissertation chair, Professor Maria Norton. In his dissertation, “The Influence of Widowhood and Sociodemographic Moderators on Dementia and Alzheimer’s Disease Risk”, Hatch used data from a longitudinal cohort to examine how psychosocial stressors experienced throughout the life span altered risk for Alzheimer’s disease. Hatch began his postdoctoral fellowship at the Duke Aging Center with his mentor, Dr. Guy Potter of the Department of Psychiatry and Behavioral Sciences; Dr. Carl Pieper of the Department of Biostatistics and Bioinformatics will also act as a secondary mentor. Hatch’s research will examine the relationship between job strain and depression in a longitudinal cohort of workers at risk for occupational stress and will assess how this link is moderated by age-related executive functioning. LaBarron Hill, Ph.D. earned his PhD in Clinical Psychology, with a specialization in Health from The Ohio State University (Chair: Julian F. Thayer, Ph.D.). His dissertation, “The Influence of State and Trait Perseverative Cognition on Autonomic & Hemodynamic Regulation,” focused on the impact of psychological factors on cardiac functioning. LaBarron’s postdoctoral mentor is Dr. Keith Whitfield, Vice Provost of Academic Affairs and Professor of Psychology and Neuroscience. His postdoctoral research will examine the independent and interactive influence of psychosocial factors and underlying hemodynamic mechanisms on cognitive health and aging in African Americans. Dr. Hill is currently a Postdoctoral Scholar at SSRI, Duke University. Nichole Lighthall earned a B.A. (2003) in psychology from UC Berkeley and a Ph.D. (2012) in Gerontology from the University of Southern California (Chair: Mara Mather, Ph.D.). In her dissertation, “Mechanisms of stress effects on learning and decision making in younger and older adults,” Nichole used biophysiological markers and functional MRI to determine how acute stress alters risk taking and reinforcement learning in early and late adulthood. Nichole’s postdoctoral research with Dr. Roberto Cabeza and Dr. Scott Huettel at the Center for Cognitive Neuroscience, will focus on determining how age-related changes to memory function affect economic decision making using neuroimaging techniques. Nichole is also interested in how emotion and motivation impact decision making across the life course. Dr. Lighthall is currently Assistant Professor of Psychology, University of Central Florida. Abby Schwartz, Ph.D. earned a master’s in Gerontology from Miami University (2005) and an MSW (2010) and PhD (2013) in Social Work from Boston College (Chair: Kathleen Mcinnis-Dittrich, Ph.D.) . Her dissertation, “Moderators of the impact of sociodemographic and economic factors on the well-being of caregiving men: implications for social work practice and policy,” explored issues of caregiving and men. Her postdoctoral co-mentors are Dr. Cristina Hendrix from DUSON and Dr. Deborah Gold. Dr. Schwartz’s projects during her postdoc will include exploring the various predictors of caregiver psychological well-being and the conditions under which these predictor/well-being relationships may vary. Following the secondary data analysis, Abby will translate the quantitative findings into a qualitative exploration of the lived experience of cancer caregiving on the psychological well-being of the caregiver. This will include exploring why such significant relationships exist in the study model. 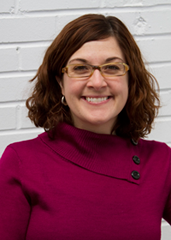 Dr. Schwartz is currently Assistant Professor of Social Work, East Carolina University. Dan received his Ph.D. in Health Policy & Management in 2012 from the Gillings School of Public Health at the University of North Carolina at Chapel Hill. His postdoctoral mentors are professors Avshalom Caspi and Terrie Moffitt. Dan’s research leverages cutting edge genome science and longitudinal data from population-based cohort studies to identify mechanisms in the etiology of chronic disease, with the aim of mobilizing policy and clinical practice to target these mechanisms for intervention. A key focus in his research is to identify modifiable features of the environment that mitigate or exacerbate genetic risks. 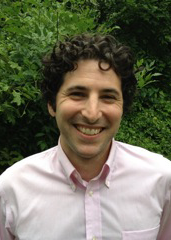 Dr. Belsky is currently Assistant Professor, Division of Geriatrics, Duke University Medical Center. 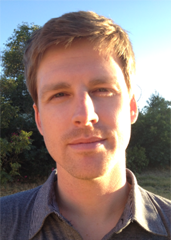 Brandon received his PhD from the Sociology Department at UCLA in 2012 after completing a dissertation on the social psychology of losing everyday objects. His postdoctoral research project will examine the experience of age-related cognitive decline through a study of the informal social psychological process by which individuals discern ‘normal’ cognitive aging from pathological forms and then seek medical intervention. Dr. Berry’s primary mentor will be Professor Lynn Smith-Lovin in the Department of Sociology, while his secondary mentors will be Dr. Kathleen Welsh-Bohmer and Dr. Deborah T. Gold. Dr. Berry is currently a Postdoctoral Scholar at the Betty Irene Moore School of Nursing, University of California at Davis. Natasha Dmitrieva is an NIA-sponsored postdoctoral scholar, working under the mentorship of Dr. Carl Pieper at Center for the Study of Aging and Human Development, Duke University Medical Center. She holds a Ph.D. in Human Development and Family Studies from The Pennsylvania State University–University Park. The substantive interest driving Natasha’s work is the examination of the stress-disease link among individuals in middle and older adulthood. In her dissertation, she examined individual differences in within-day and day-to-day variability in salivary cortisol. In her postdoctoral training, she is expanding this work by examining (1) dyadic co-trajectories in vascular health conditions and risk factors among older adult couples, (2) the effects of a mindfulness-based-weight-loss-maintenance intervention on self-reported and biological indicators of health, and (3) the effects of health behaviors related to management of Type 1 Diabetes on self-reported and biological indicators of disease activity. She is proficient in a number of statistical methods that are relevant to the developmental approach to the study of health in adulthood, including multilevel modeling, mixture modeling, and structural equation modeling. 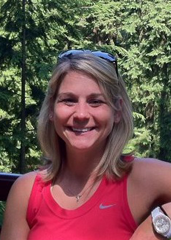 Dr. Dmitrieva is currently Assistant Professor of Psychology, Northern Arizona University. 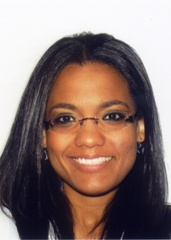 Liza Genao received her medical degree in 2004 from UNPHU School of Medicine in the Dominican Republic. She completed training in Internal Medicine at Mayo Clinic in 2009 and Clinical Geriatrics at Duke University in 2011. Dr. Genao’s long term career is to improve the quality and equality of care of older adults with end-stage lung disease (ESLD). Her research seeks to understand the impact of aging and multi-morbidity on the functional status and quality of life of this population and derive specific multidisciplinary interventions targeted to those factors found to jeopardize these outcomes. The available medical treatments for ESLD minimally impact symptoms or change the disease progression, and involve challenges and barriers to which older patients are particularly vulnerable. Lung Transplantation (LT) and pulmonary rehabilitation (PR) are the best-demonstrated interventions to improve quality of life. As a result of the introduction of a new lung allocation scoring system (LAS) in the U.S. in 2005, the annual number of LT recipients 65 and older quadrupled. Having trained at Duke University, a leading center of excellence in LT, Dr. Genao became interested on analyzing how the lives of these older Americans changed by the gift of a new lung. During her first post-doctoral training year, under the mentorship of Drs. Kenneth Schmader, Heather Whitson and David Zaas, she completed an analysis of the difference in functional trajectories after transplant between older and younger recipients. This retrospective cohort study used data from the United Network for Organ Sharing (UNOS) registry on all adults that received their first LT after the LAS. The key findings of this study, recently published in the American Journal of Transplantation, were that on average, the functional status at 1-year was higher than at transplantation for all recipients, age was not associated with different rates of decline over time, and even the older recipients rarely reached significant disability at 48-months post LT. Dr. Genao ongoing studies include: survival benefit for older adults with LT compared to remaining on wait-list, causes of death after LT and healthcare utilization before and after LT in older Medicare Beneficiaries. 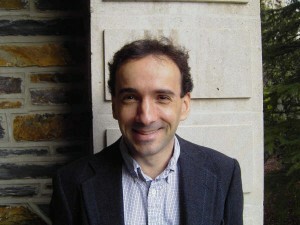 In January of 2012, Dr. Genao’s participated, in a multidisciplinary workshop held by the Association of Specialty Professors, National Institutes of Health (including NHLBI, NIA, NIAID, NIDDK) and the American Geriatrics Society (AGS), to address issues related to kidney, liver, heart and lung transplantation in older adults and propose the agenda for future research. Also during this year she became an awardee of the Hartford Scholar in the Center of Excellence in Geriatric Medicine and Training program at Duke University. She has served in the AGS Junior Faculty Research Special Interest Group Steering Committee and the Duke Institutional Review Board since 2011. Dr. Genao is currently Medical Instructor, Department of Medicine, Duke University Medical Center. Lydia is a postdoctoral scholar at Duke University’s Center for Aging, and her is postdoctoral mentor is Dr. Linda K. George. Lydia holds a PhD in Social Gerontology from Miami University in Oxford, OH. Her current areas of research interests include exploring resilience as a developmental process and the effect of resilience and religion on self-rated health and subjective well-being in later life. Lydia has presented research at the Gerontological Society of America and the Association for Gerontology in Higher Education. Topics of these presentations include spirituality and aging, volunteering in third age, gender and religious differences in older women, and religion as a pathway to emotional resilience. Furthermore, she has published several peer-reviewed articles in journals on similar topics in The Gerontologist, Gerontology and Geriatrics Education, Journal of Religion, Spiritualty and Aging, Journal of Women and Aging, and Journal of Religion and Health. In addition Lydia is a member of the Gerontological Society of America, the American Sociological Society, and the Association for Anthropology and Gerontology. Dr. Manning is currently Associate Professor and Program Faculty Leader for Gerontology, Concordia University Chicago. Adrienne is a Postdoctoral Fellow at the Center for the Study of Aging and Human Development and the Center on Biobehavioral Health Disparities. She received her PhD in clinical psychology, with a concentration in neuropsychology and graduate certificate in gerontology, at the University of Florida. Her dissertation was entitled “Effects of Improved Physical Fitness on Cognitive/Psychological Functioning in Community-Dwelling, Sedentary Middle-Aged and Older Adults.” Dr. Aiken Morgan’s primary fellowship mentor is Dr. Keith Whitfield, Vice Provost of Academic Affairs and Professor of Psychology and Neuroscience. The focus of her research during her fellowship will be to understand the influence of health and sociocultural factors on cognitive aging among African Americans. Dr. Aiken-Morgan is currently Lecturing Fellow, Social Science Research Institute, Duke University. Project: In the Kornbluth lab I’m seeking to understand age-associated changes in the regulation of cell death, and the possible link between these changes and the pathogenesis of Alzheimers disease and cancer. In his own words: Prior to starting the research training program, my exposure to the field of aging research was limited to the relatively narrow scope of molecular biology. However, through weekly seminars I’ve been exposed to a wide range of topics concerning the field of aging and this has helped to broaden my focus as a scientist. Project: My research examines age-related differences among younger and older adults in selective attention. The primary behavioral measures are a series of tasks in which subjects must detect and localize changes to visual displays. Additionally, I am involved with a series of neuroimaging studies examining age group differences in cognition and attention, with functional neuroimaging and diffusion tensor imaging as central measures. In his own words: The Research Training Program has helped my professional development immensely. My training has been intense and extensive, and the thoughtful support I have received has proven invaluable. I strongly recommend the program to anyone thinking of starting up postdoctoral research in aging. Project: My research focuses on the cognitive and neural mechanisms of memory and cognition in young and older adults. With respect to cognitive aging, my research concentrates on the examination of age related neural markers of cognitive decline, as well as mechanisms for neural compensation. My research combines behavioral, diffusion tensor imaging (DTI), and functional MRI (fMRI) approaches to explore the interaction of cognitive and neural processes in aging while focuses on the investigation of both episodic encoding and retrieval, as well as relational memory. In her own words: The RTP program has afforded me the opportunity to work directly with two of the top researchers in my field, Dr. Roberto Cabeza and Dr. Dave Madden. With their mentorship, I have completed 4 neuroimaging studies of my own and been fortunate enough to collaborate on over a half dozen more. These collaborations include working with researchers in the Department of Psychology and Neuroscience, Institute for Genome Science and Policy, and the Alzheimer’s Disease Research Center. My training has not only well prepared me for a career in my field, the Cognitive Neuroscience of Aging, but for work in the scientific research community in general. Project (Project Mentor: William Kraus, MD): I have focused my training on two aspects of aging and genetics of cardiovascular disease: The first part of my project extends my dissertation work. It explores gene expression signatures of aging in cardiovascular disease using microarray. I am examining blood-based RNA from subjects in the Duke CATHGEN study of coronary heart disease to explore the effect of age on transcription profiles in people with a narrow burden of cardiovascular disease. This is an unbiased search for candidate genes that may help to explain some of the genetic contribution to aging in the context of heart disease. Second, I am focused on the genetic epidemiology of coronary artery disease and the phenomena of survivorship (survival in the context of having a chronic disease). Using a family-based database of early onset coronary artery disease (Duke GENECARD, PI: Elizabeth Hauser, PhD) and a population-based database of people who undergo cardiac catheterization (Duke CATHeterization GENetics/CATHGEN, PI: William Kraus, MD), I am exploring survival and survivorship in order to establish a proof of principle for the genetic contribution of this phenotype to heart disease. Through this project, I am also establishing a foundation in the study of temporal (time related) variables and their effect on gene association studies, so that we may better understand their impact on our analyses and appropriately control for their effects. In her own words: The Duke Aging RTP has provided me with a strong foundation in aging focused research, allowing me the flexibility to explore my own area of interest (survivorship in coronary heart disease) while also engaging me in the important age-related research taking place at Duke and beyond. It has given me the opportunity to expand my level of expertise and research skills and present my research at such meetings as the American Society of Human Genetics and the Council for the Advancement of Nursing Science, to name a few. Overall, Duke University is a unique atmosphere that offers tremendous resources for training, career development, and even peer socialization. The Duke Aging Center has a long-standing tradition of excellence and accomplishment, but without a precocious atmosphere. I feel this program has strengthened my foundation in aging research, made me a more well-rounded researcher, provided extraordinary networking opportunities, and prepared me for a smooth transition into independent academic research. Project: Diabetes and its precursor, metabolic syndrome, are major risk factors for cardiovascular disease (CVD). Metabolic syndrome – the clustering of CVD risk factors – is a particularly powerful precursor to CVD. The prevalence of each of these conditions increases with age and are the cause of significant disease burden and disability in elderly populations. The development of countermeasures for metabolic syndrome in middle aged populations has the potential to have dramatic implications for the disability of elderly Americans by preventing, delaying or mollifying the development of disease in the elderly. Understanding the mechanisms whereby lifestyle interventions, such as exercise, mediate beneficial effects can lead to the design of better and more effective strategies to prevent disease and modify quality of life in the elderly. While physical activity has been observed to improve insulin sensitivity in individuals with the metabolic syndrome, the molecular mechanisms responsible for these benefits have yet to be elucidated. The goal of my project was to determine the effects of long-term endurance exercise training on the insulin-signaling cascade in middle-aged patients with the metabolic syndrome with the goal of understanding the development of disease in aging individuals. In his own words: The Research Training Program in Aging exposed me to different research disciplines and provided me with an appreciation for multidisciplinary research in aging. Topics covered during the weekly seminars were stimulating and informative, both on a professional level and a personal level. Participation in the program also provided the opportunity for professional development. For instance, preparing the “mini-R01” grant proposal to gain acceptance into the program improved my writing skills and the experience of developing the proposal will be helpful when I write an actual R-01. In addition, Duke offers numerous opportunities for professional development through seminars (lasting from a couple of hours to 3 days), programs and other resources. Seminars cover topics such as: improving scientific writing, developing an R-01, and how to manage a lab. Project – A Qualitative Study of the Older Male Experience of Osteoporosis (Postdoctoral Supervisor/ Mentor: Deborah T. Gold, PHD): This study will examine the self-reported experiences of community-dwelling men aged 50 and older with osteoporosis to improve our understanding of their social experience. In addition, the study will contribute to existing efforts to evaluate the reliability and validity of a recently developed measure of disease-related quality of life for male osteoporosis patients, the Male OPAQ. These aims will contribute to the larger goals of increasing knowledge about male osteoporosis patients, producing new information pertaining to male osteoporosis diagnosis and treatment, and developing a standardized instrument to measure disease-related quality of life among older men with osteoporosis. In her own words: The Postdoctoral Fellowship has afforded me the opportunity to build upon my doctoral research by broadening my knowledge of how age and gender influence the experience of other chronic disorders in later life. It has provided me with the flexibility to translate my dissertation findings into published manuscripts. The fellowship has given me the institutional support to participate in professional organizations through committee work and scholarly presentations at the meetings of the Gerontological Society of America and the American Anthropological Association, as well as Editor of Anthropology & Aging Quarterly. The weekly seminars have introduced me to new areas of gerontological inquiry as well as to scholars from other disciplines who share similar research interests. Overall, the fellowship has been an important and productive experience, effectively bridging graduate school to an academic position.